A new survey report by BambooHR of over 1,000 U.S. employees defines the line between annoying and unacceptable. 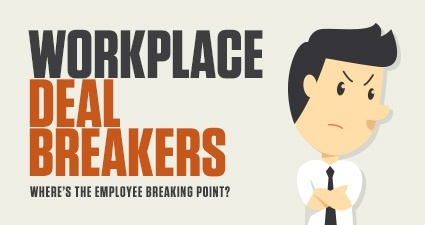 What aspects of work are most likely to get on employees’ nerves? More importantly, at what point does it go into “deal-breaker” territory? If your gut reaction is “it’s all about compensation,” this recent survey suggests that instinct is wrong. In truth, issues related to advancement and work-life balance elicit the highest emotional response from U.S. employees.